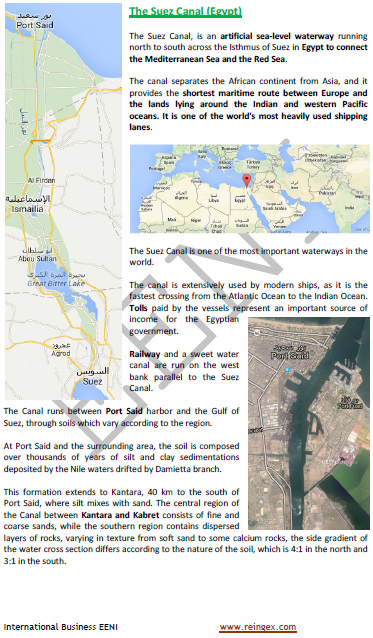 Syllabus of the Online Course (Subject): Suez Canal (Arab Republic of Egypt). Sub-Indian continent, Asia-Pacific, Europe, and North Africa. Description of the Online Course: Suez Canal (Egypt). The Suez Canal belongs to East African Economic Area (African Civilisation). More information about Egypt (African Portal - EENI Business School & HA University).